Review copies of the Vita title Killzone: Mercenary are rolling out, and players are being greeted with a 1190MB day one patch. The associated notes describe “stability fixes and performance optimisations” as its contents, but no specifics are given. Day one patches are nothing new in modern games, but this brings the overall size of Mercenary to 4.5GB, up from 3.3GB. Vita storage is notoriously expensive, with 4GB memory cards alone selling for $20. Be sure to consider this when deciding to buy a physical or digital copy. 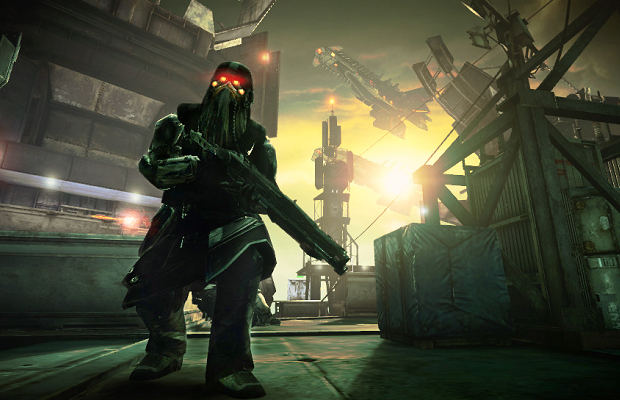 Killzone: Mercenary takes place directly after the events of the first Killzone, and follows the story of hired gun Arran Danner. It’s exclusive to the PS Vita, and hits Europe September 4th, with a North American release on the 10th.